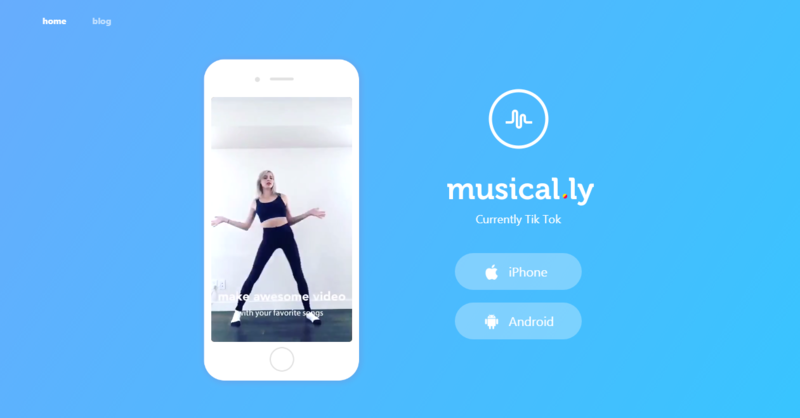 Musical.ly is the most popular app that is now installed in many mobile phone user’s device. This is the app to show your creativeness on the dubbing of some music and acting on some dialogues. Many people use this and make awesome videos and share with friends and other Social Medias.Here are tips on how to Reset Musical.ly Password if you ever lost it. First unlock your device and search for the musical.ly app on your device. As you fins it, open it by taping on it. Then you will open the home screen, where you can view other user’s videos that are in trending and popular. And even those who you know and followed by you. At the bottom of the screen, you will see some tabs that will lead you to different area of your account. So, you need to tap on the “profile” icon which is at the right corner. As you enter the profile screen, you need to tap on the “settings” under the gear-like icon on the top right corner of the screen. As you tap that icon the pop out tab with option where settings will be available. When you are in the settings screen, you need to scroll down a little and search for the “Change Password” under “Account” section. As you find the change password option, you need to tap on that. Then in next screen, you will see three blanks in total. First, you need to enter your “Current Password” which you used to sign in. after that in next two blank, you need to create a strong new password. Then last two blanks should match the new password for the confirmation and verification. After that, you need to tap on the “Done” button in the top right corner of the screen. Then you are done with the process. From now, you will need to use this new password for the next logins. In the login screen, you will see a text “Get help signing in.” at below the login button. That text is what you need to tap on for starting the recovery process. As you tap on it, you will get the two option for reset: Email and Phone number. If you select eh Email option, then you will need to enter your email address in the given blank. The email address should be the only one that you use for musical.ly. And after entering, you need to tap on the “Send Link” button. After that, a mail will be sent to your email address and you need to check for it. As you see the mail will have the link to open the reset page. The page where you can create a strong new password. The same page will open when you follow the on-screen instruction for the Phone Number option. You will need to enter your mobile phone number in the given blank and then tap on the “next” button. Then a SMS will be sent to your mobile number which will verify that it’s your own number. The SMS will contain some digits that you will need to enter in the process. After that, you will need to go for the next step and the same page- told before will open the. The screen where you can create a strong new password. And you will need to enter the same new password twice in different blanks for the confirmation. After that you need to save and done with that process. Then from now you need to login with your new password and remember it for next logins.So these are the easiest ways you can Reset Musical.ly Password. This entry was posted in Account Reset Password and tagged Change Musical.ly Password, Change Musically Password, Forgot Musical.ly Password, How to Change Musically Password, i forgot my musically password, Musical.ly Password Recovery, Musical.ly Password Reset, Musically forgot password, Recover Forgotten Musical.ly Password, Recover Musical.ly Password, Recover Musically Password, Reset Musical.ly Password, Reset Musically Password on July 9, 2018 by jcgbyHvNvn.